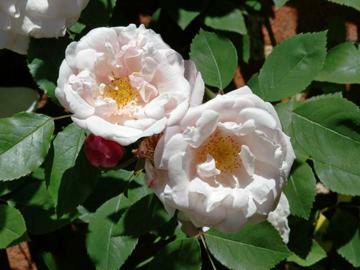 Vigorous rambler with arching or trailing stems and good glossy dark green foliage. Off-white or slightly pink-flushed flowers with orange-yellow stamens, opening from purplish-red buds in summer. Strongly myrrh scented.